Years of use in the field has confirmed the very high palatability of Ipakitine. This is very important in the case of CRF and especially for cats. 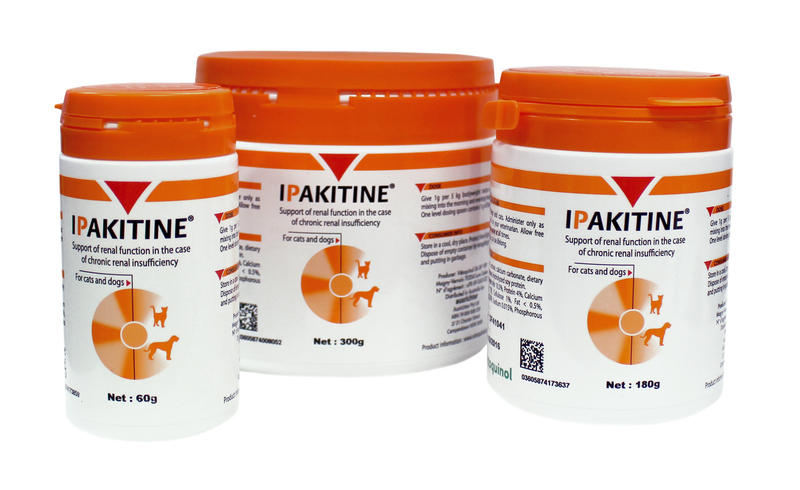 Ipakitine’s nutritional purpose is for dietetic feeding to support the renal function in case of chronic renal insufficiency. 1g (1 spoon) / 5kg twice a day, to be mixed with food. Initially up to 6 months. It is recommended that a veterinarian’s opinion be sought before use or before extending the period of use. Water should be available at all times.